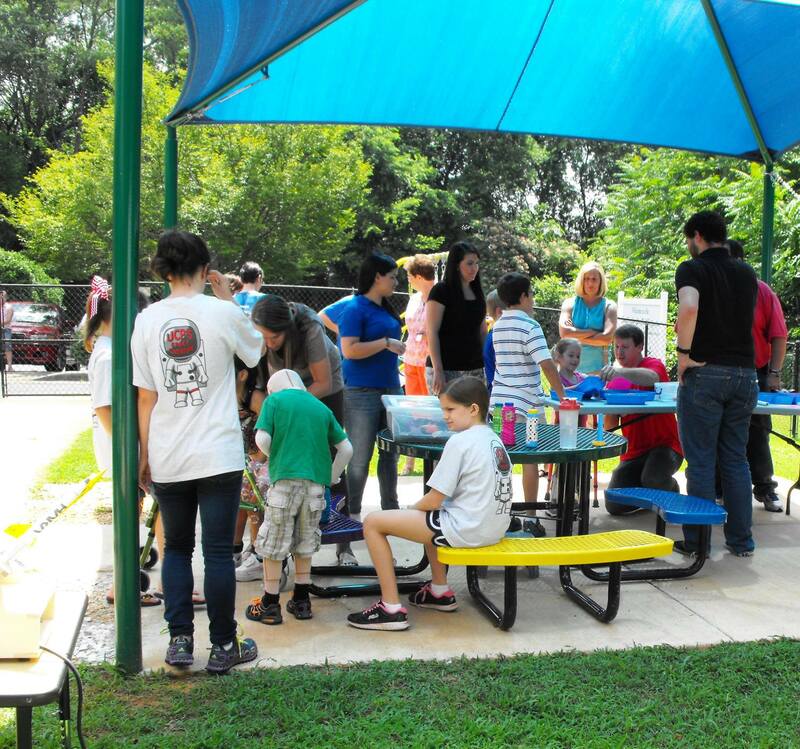 On June 20th, the day before Southern Thunder, an excellent group of HARA members and volunteers showed up to help these kiddos at United Cerebral Palsy (UCP) Huntsville’s summer space camp launch their paper stop rockets and their imaginations. These kiddos and their family’s cope with a variety of challenges daily, and none can be easy, but these kiddos have amazing attitudes. 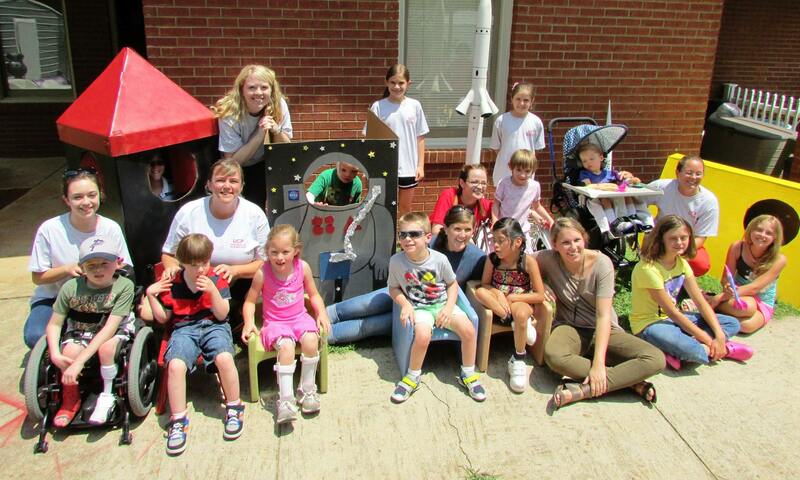 We are so grateful to have had the opportunity to share rocketry with them. 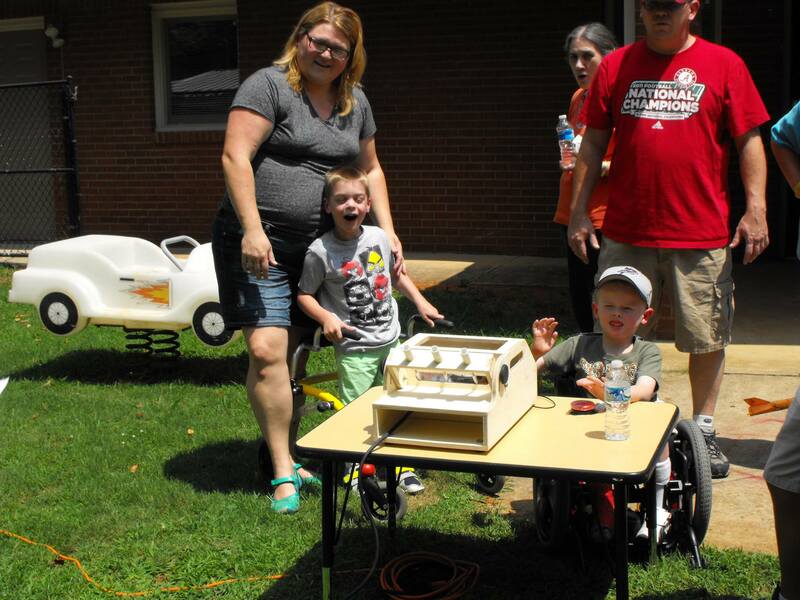 Laura Schertz, HARA member and UCP Occupational Therapist, arranged the activity and designed the paper stomp rockets that are now available for download on the HARA website. After HARA got involved for the activity, HARA president Daniel Cavender built a pneumatic launcher that could launch three paper rockets either one at a time or all simultaneously. The launcher is also adapted for activation by kiddos who require the use of an assistive technology (AT) device like the jelly beamer button. 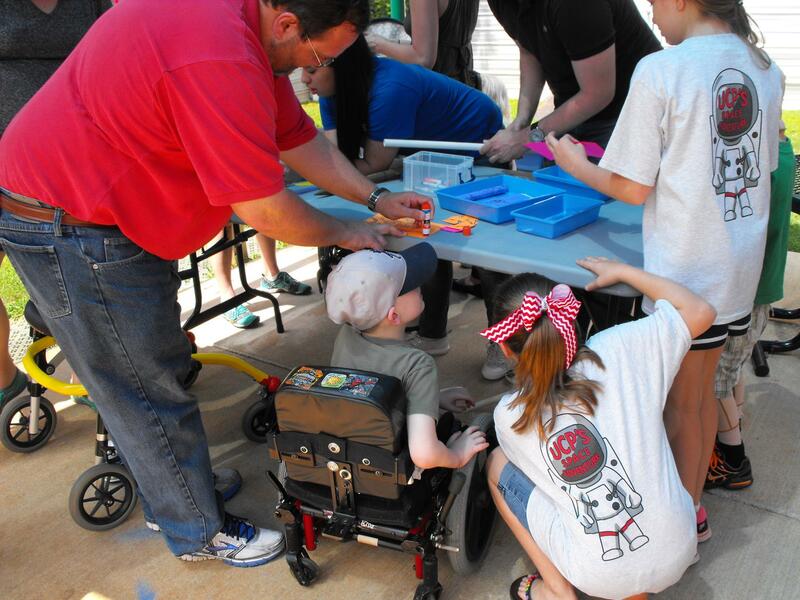 Shawn Parris, HARA member and father, helps a kiddo glue his rocket’s fins to the body tube. Gladys and Roberto are rolling airframes in the background. These kiddos had a great time flying rockets and hanging out with our club members for an hour. 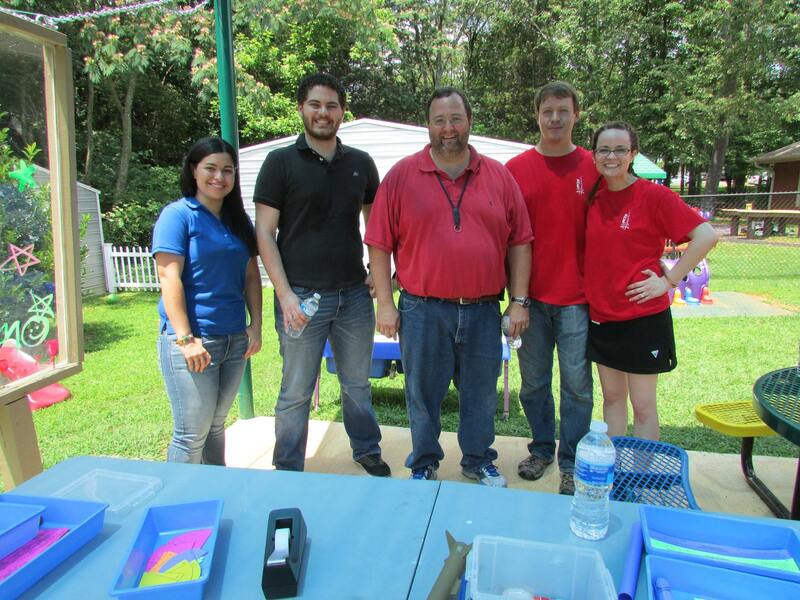 Thanks guys for helping to make the UCP Summer Space Camp Family Day event a BLAST!